In short, The Barns at Hunsbury is our ‘commercial arm’, providing invaluable revenue to support our charitable activities. The Barns at Hunsbury Hill is steeped in charm. Set in 13 acres of gardens and woodland, we’re on a hillside location overlooking the picturesque rolling countryside of South Northamptonshire. The Barns provides an idyllic setting for weddings, social and business events. Only a few years ago, The Barns was a working farm. Since then we’ve completely renovated the site. We’ve retained the original buildings with their wonderful features – the exposed beams, the stonework and solid wooden flooring. Download this leaflet that gives more details of the site. 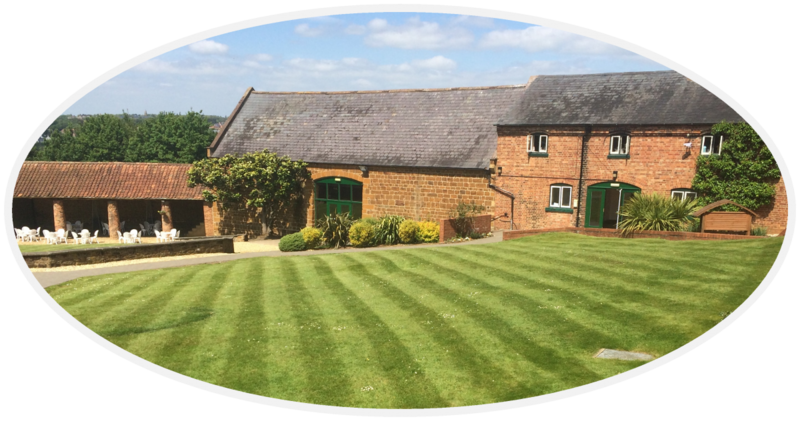 Now all our visitors agree - The Barns at Hunsbury Hill provides the perfect rural setting for every event! Find out more about a great venue for Weddings, Parties and Events.